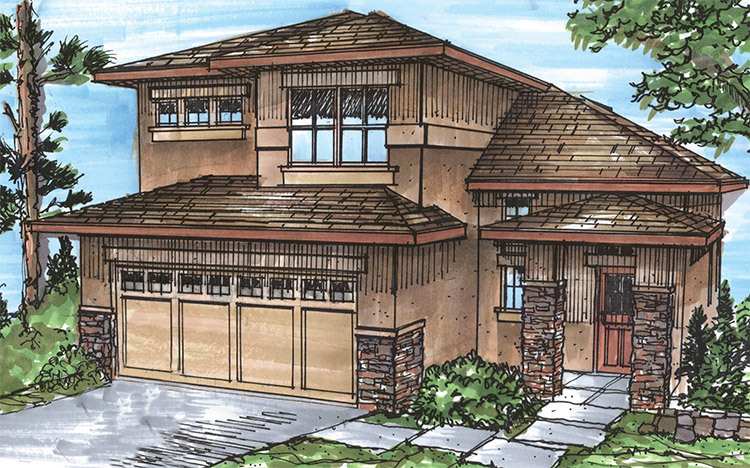 Stauffer & Sons is pleased to announce that we will be entering one of our custom homes in the Colorado Springs 2013 Parade of Homes for the very first time in our fourteen-year history. The home we are entering is one we like to think of as a “revival” of sorts: it’s a rebuild of a home that burned to the ground during the Waldo Canyon Fire. It is located in the Parkside Neighborhood of the Mountain Shadows area in Colorado Springs. For those who may not know: the Waldo Canyon Fire destroyed 80% of the 178 homes in Parkside in less than two hours on June 26th of last year. We’re celebrating the fact that just barely over one year after the fire, we are able to hand over to the homeowners the keys to their brand new home… a home that is much nicer than the original. We’re happy we could help contribute to the re-building effort that so many in our community have been working towards. If you’re coming to this year’s Parade of Homes, we cordially invite you to come visit our Parade Home at 2517 Mirror Lake Court, Colorado Springs, CO 80919. Ticket info: tickets can be purchased for $10 each at any Safeway in Colorado Springs, or on-site at any of the homes in the Parade. (Tickets are only needed for adults 18 and over; children get in for free). Come check out our Parade entry, and while you’re at it, go see the rest of the more than 30 homes entered! 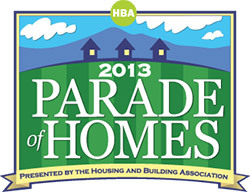 The Parade is open August 16 – September 1, 2013. Ron Stauffer has been building websites and marketing businesses on the web for over twelve years. He has certifications from Apple, Google, Rackspace, and Hubspot, and content he has written for clients has been featured in NBC National News, US News & World Report, Realtor.com, Builder Magazine, AmEx Open Forum, and other national publications. His professional motto is: "data wins arguments," and he uses data-driven marketing efforts to grow businesses online with proven ROI. He lives in the Boulder area in Colorado, with his wife and five children. Learn more about Ron Stauffer here. Neat! I formerly owned the home at this address in Colorado Springs…I have some photos if you or the new owner are interested in what it looked like prior to the fire. Wonderful memories at that home/location…we had the best neighbors and it is of course in a beautiful location. All the best! Wow, Kurt! I would love to see some photos. Feel free to email me at ron@staufferandsons.com. Thanks for getting in touch!